The Closed Range Exercises (CRE) course was created by the Motorcycle Safety Foundation (MSF) to provide hands-on rider training with an emphasis on safety and skill development. 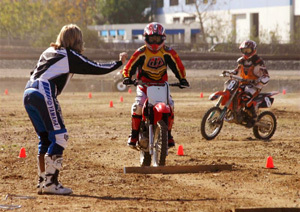 New riders, or others who want to improve their riding skills, will benefit from the CRE course taught by certified MSF DirtBike School Coaches. During the school, students learn basic techniques for safely riding off-highway motorcycles. 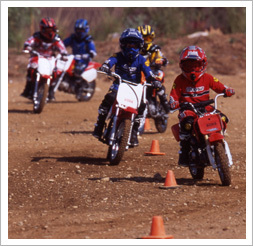 Lessons are presented at controlled off-highway riding sites specifically selected for the course.